"Aly & Justin were great from start to finish. We knew very little about the area and the knowledge they came with at our first meeting was 100% what we needed. They made us feel comfortable and brought expertise to the entire process. We would highly recommend using them!" The real estate industry is built on service. To last and thrive it takes a tireless commitment to serve your clients. That is where the Tesar Group is unparalleled . Their steadfast commitment to serving their clients has made them a top-producing team on the North Shore year after year. The Tesar Group's success and growth is based almost entirely on referrals and repeat clients. That's the true measure and testament to their tireless work ethic, excellent communication skills, empathetic nature and on-going support given to their clients not just to the closing but long after. Aly and Justin Tesar have real estate in their blood! Both come from families in the business-- which might explain why it's their passion. Justin and Aly were born and raised on the North Shore and met as lifeguards at Gillson Beach in Wilmette while attending New Trier High School. Collectively they've lived in five North Shore comunities including, Winnetka, Wilmette, Glencoe, Northfield and Glenview. They know the Shore inside and out. They have a deep understanding of all the villages and townships--understand their uniqueness's and can guide buyers and sellers with great personal knowledge.This young and energetic couple combines their knowledge and passion for North Shore real estate to give you the expertise of the Tesar Group. Justin Grew up in Winnetka. He had the unique experience of watching his parents build and sell homes during his childhood. These childhood memories are indelible and are the bedrock of his love of Real Estate. Before starting his real estate career, Justin worked at the Chicago Board of trade for over 5 years. His financial background and high stress training allow him to handle any real estate transaction with ease. 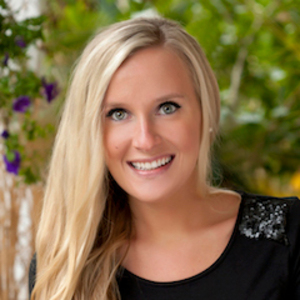 Aly grew up in Wilmette and started going to open houses with her mom for fun as a child. No wonder she followed in her mother’s footsteps and made real estate her career. Aly is a workaholic that loves every minute of her job! She prides herself on being a good listener and truly caring about each of her clients’ needs. Together this high-energy, dynamic pair will not rest until they've met and exceeded all your needs whether buying or listing.